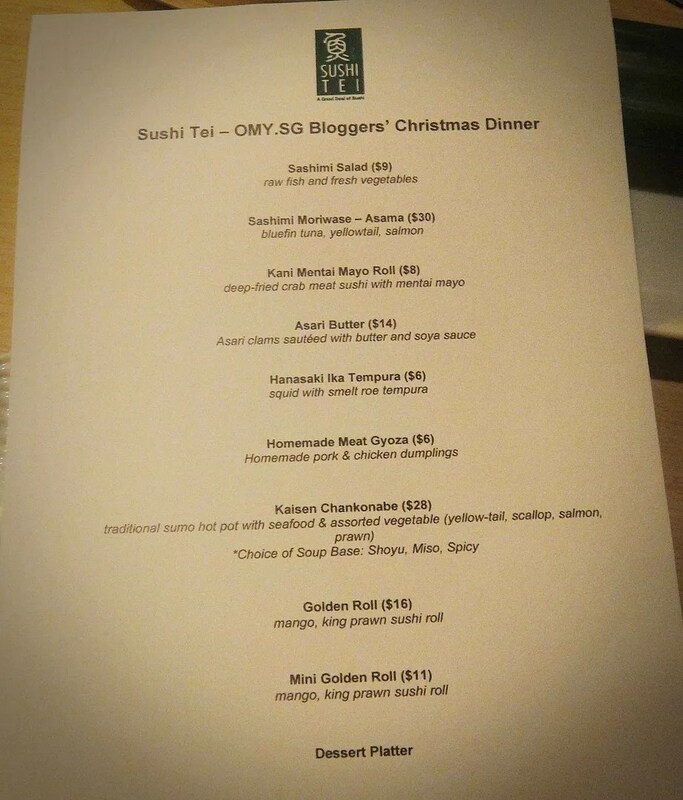 Omy Blog Club ran a contest inviting bloggers for a Christmas dinner at Sushi Tei‘s Paragon outlet. To enter, you’ll have to take a Christmas themed photo on Instagram. 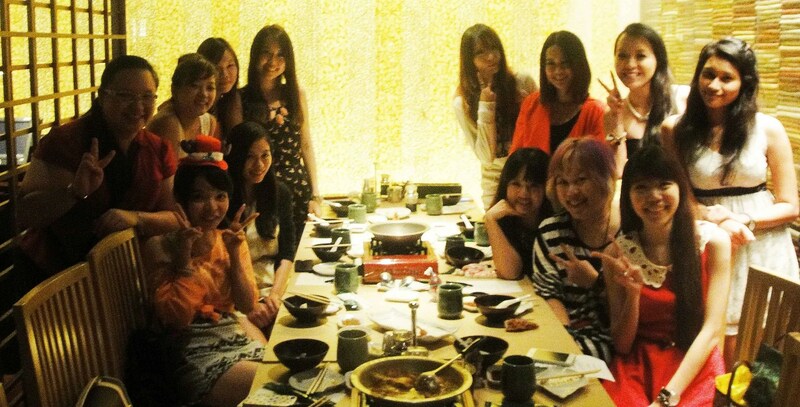 I was really lucky to score an invite from Omy.sg for a Christmas dinner despite my late contest photo submission. It was my virgin Omy Blog Club event. Finally popped the cherry! Thank you Omy for the invite and Sushi Tei for hosting us. Although I was initially a little nervous (I’m always jittery meeting new people btw), I’m glad that the bloggers I met were a real sociable and warm bunch. Conversations flowed easy and I had a good time, both chatting with my seat mates – Claire and Tiffany. Apologies for the bad resolution photo – single pax invite if not I would have brought my in-house photographer with me. This was the best I can do for the photo. I’m a frequent patron of Sushi Tei because there’s an outlet just round the corner of my office. I usually order the Salmon Don which is a real value for money because you get 8 large pieces of salmon sashimi for approx $10. I also like the Sukiyaki/Shabu shabu set because I enjoy soups! 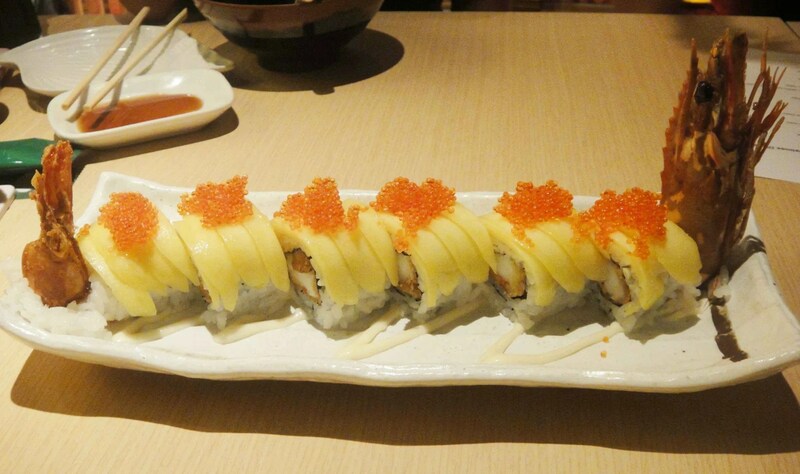 If I dine in a group, the Dragon roll/Golden roll are good for sharing. This time, Sushi Tei catered a varied menu for us. 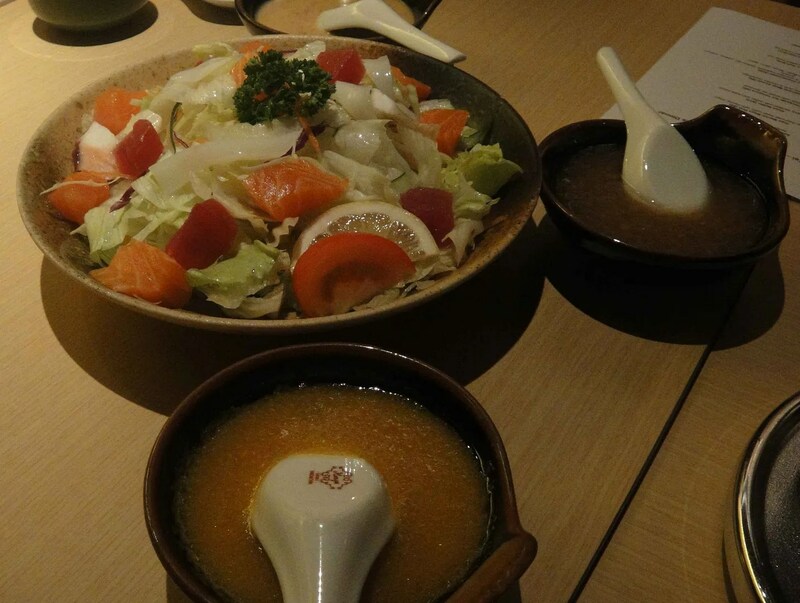 The three dressing are: Wafu, Sushi Tei house dressing and Sesame. Personally, sesame’s my favourite dressing. You can purchase sesame dressing (Not the Sushi Tei one duh) off shelves at super markets and it’s great for home-made salads and steamboats. Since I introduced my family to sesame dressing, it has become a must-have at our steamboat dinners. 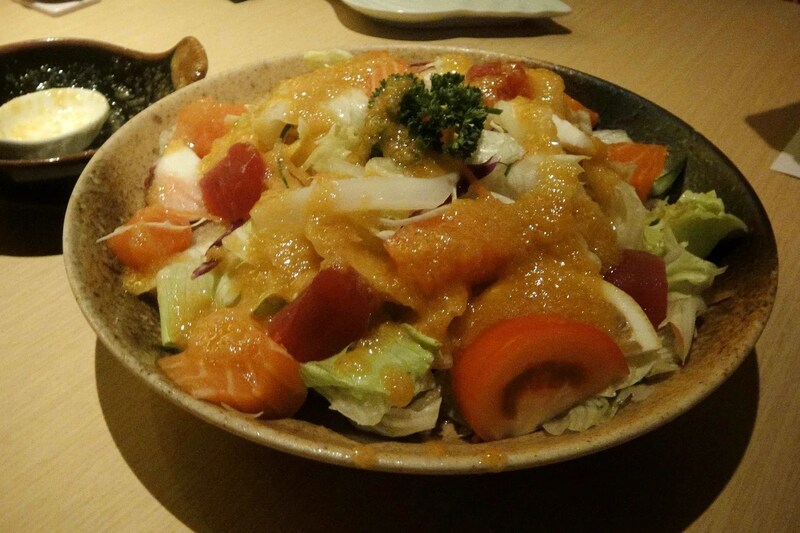 Sashimi Moriwase Asama ($30). 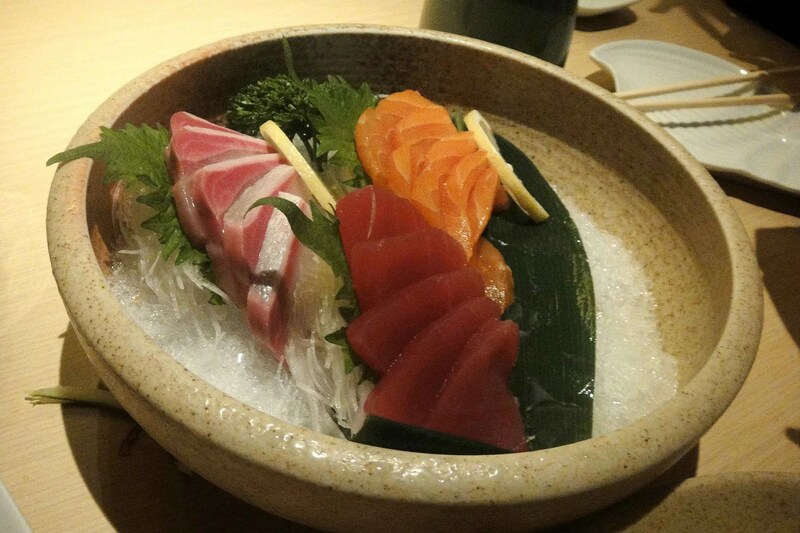 Three types of sashimi – bluefin tuna, yellowtail and salmon. Good for sharing if you eat all types of tuna. Bad for you if you eat a sashimi eater like me – one who only eats salmon and nothing else. Kani Mentai Mayo Roll ($8). This is one of my favourite dish of the night. Mentai Mayo, nuff said. I will definitely order this the time I patron Sushi Tei. 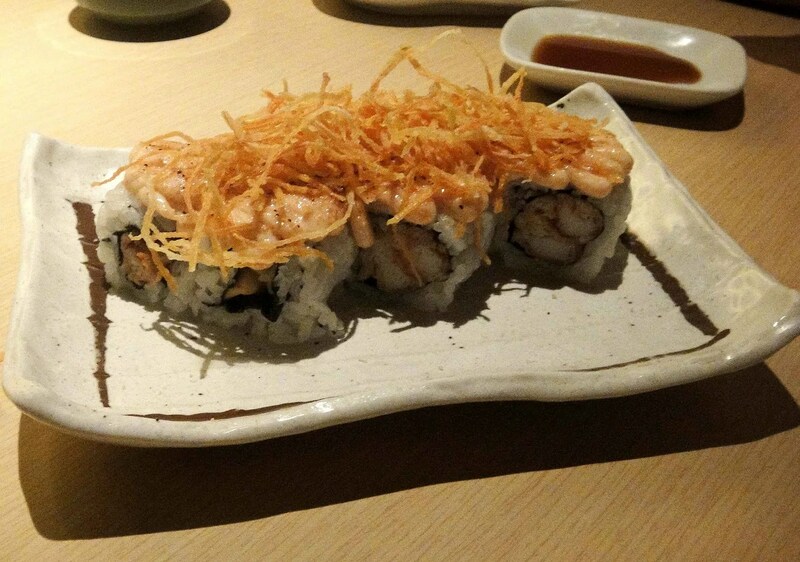 I like how the carrots garnish went well with the sushi – provides a nice crunch to the dish. 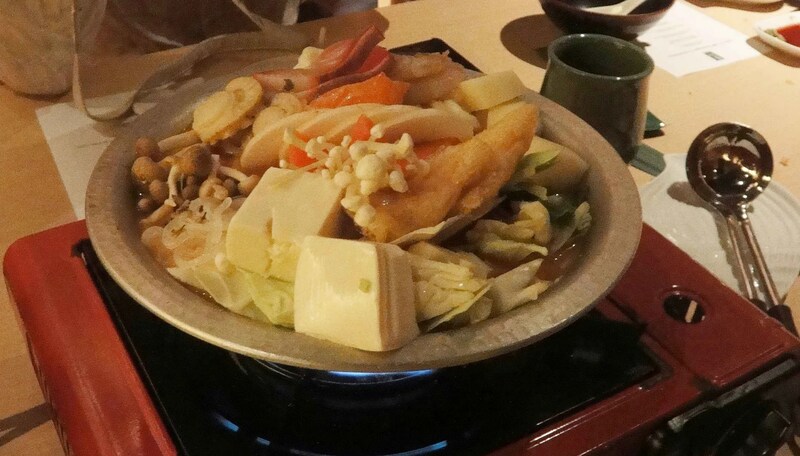 I really like this hot pot which comes with two choices – a spicy and a miso soup base. I’m a fan of all soups and to me, this is an all-in dish because it contains everything. 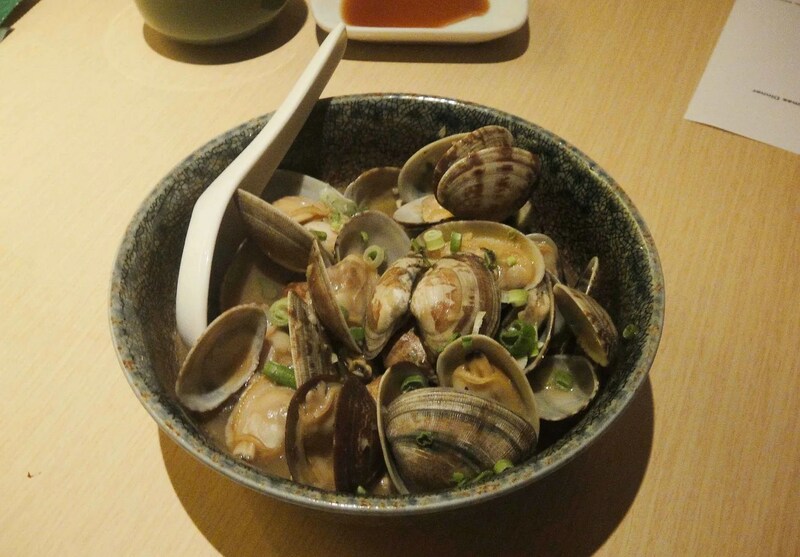 There are plenty of vegetables and seafood such as scallops and salmon. I think this makes a good main dish for two to three person. I used to go for the suikyaki/shabu shabu dish all the time but this makes a great alternate choice. 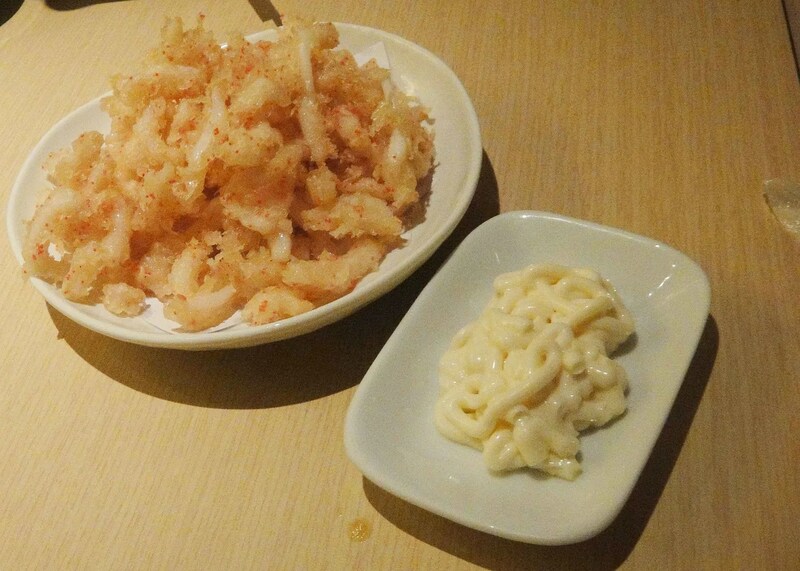 I’ve always been ordering this when I’m at Sushi Tei. The mango provides a sweet tang to the prawn. The left ones are my favourite, they’re like tiny coffee ice explosions in your mouths. 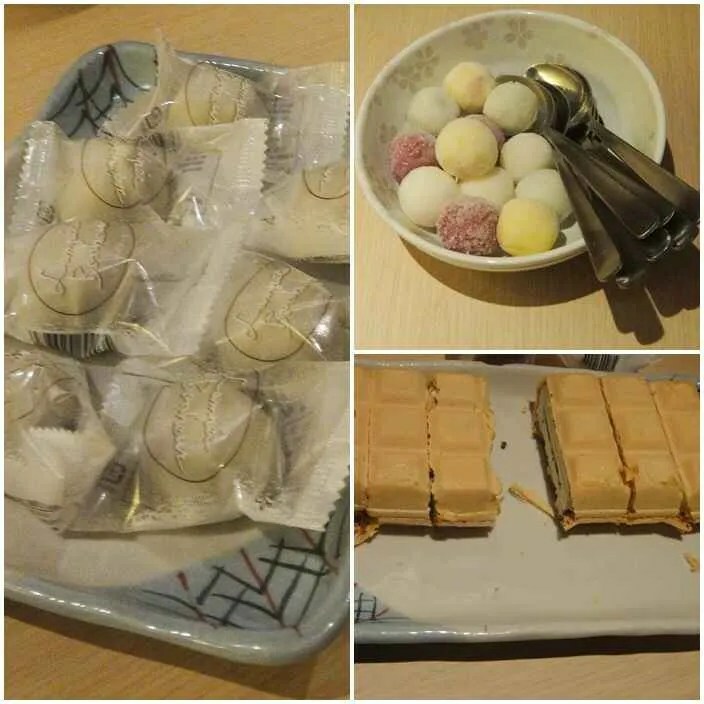 If you’re having desserts at Sushi Tei, go for the chocolate or green tea Nama ice cream. They are morsels of heaven in your mouth. 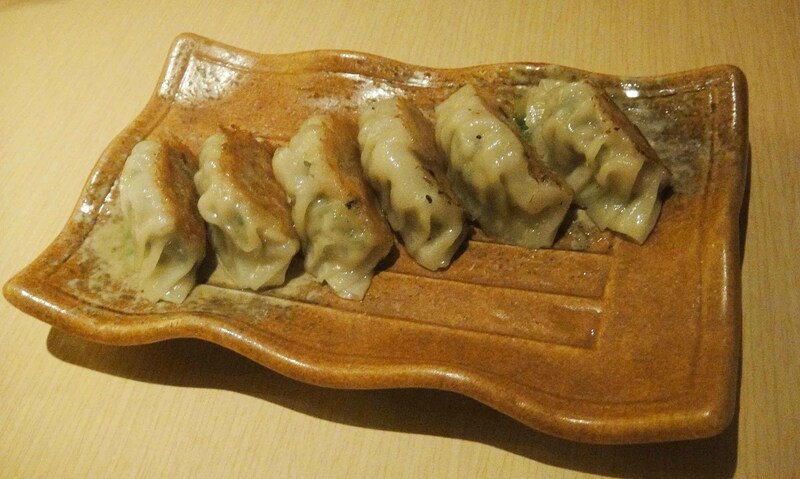 If you’re intending to visit Sushi Tei, check out their outlets on their website. This is a sponsored dinner courtesy of Sushi Tei, hence, I did not pay for my meal.